Indoor plants need nourishment, particularly in the dead of winter when sunlight is lower than other times of the year. Plants love starch and potato starch is a good way to give it to them. 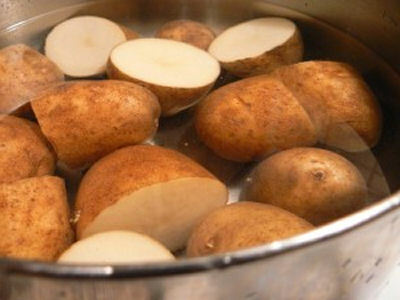 To add starch in a “green way”, save the water you boil your potatoes in. Starchy water will spur the release of plant nutrients in the soil so it makes a great addition. Note: Don’t use salted potato water as this can harm plants. Use unsalted potato water, let it cool for a while, and then use it to water your household plants. This works because starchy water spurs the release of nutrients in the soil. Recycled pasta water also works in a similar way. Recycle your boiled potato water and use the potato starch on your plants. Don’t substitute potato water for plant food. Just use the potato water in addition to any plant food you may use. If you save any potato water to use over a period of days be sure to shake it to stir up the nutrients before giving it to your plants. Just add it to your watering can and water as you normally do. Fertilize on another day. 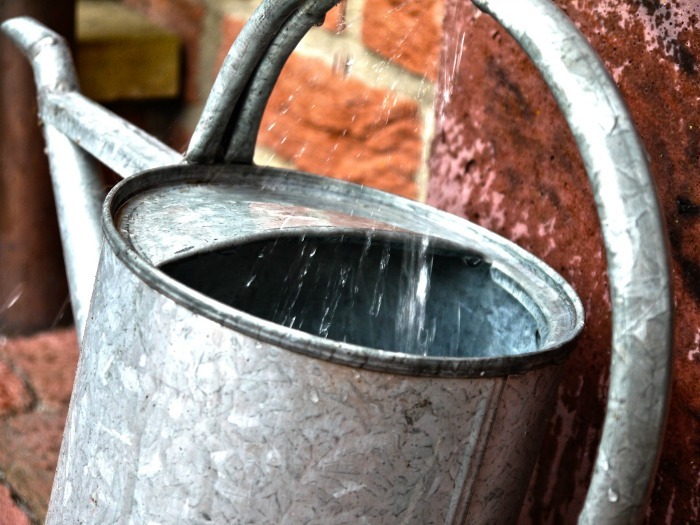 The water from boiled potatoes can be used on both outdoor and indoor plants. Potato water (and other vegetable water) is also great to use on the compost pile. And don’t forget to add the potato skins there too! Plants are not the only thing that likes starchy potato water. You can use it around the house too. Other uses for potato water. Add it to bread mixes to add texture and a bit of extra flavor. Pour it over dry dog food. They will LOVE it! Just a basic word press theme that I have customized to suit my needs. Thank you, I am giving the indoor aloe a little of the potato water & would like reassurance that they will be alright.